Now, I have been terribly remiss. I was given this award a couple of weeks ago, and I've only just scraped together enough time to do anything about it. It was awarded to me by Lisa, whose blog is here . Thank you very much! I'm extremely flattered. Now there are certain rules to follow when you get this award. I teach guitar, from beginners right up to the most advanced, and this year I have some flute and recorder pupils too. Despite my involvement in music, my biggest passion in life is books. My Kindle is always with me! I've been married for 15 years to the best husband ever! Still madly in love. I'm a cat person. We currently have two, both ginger and white, who regard us as staff. I learned to knit and crochet as a child, from my mother and by experimenting with various patterns. I love colour and the effect that colours have on each other. My dad's an artist, but I'm not able to paint or draw to my (or his) satisfaction, so I indulge my love of colours in creating things in yarn. I'm addicted to Strictly Come Dancing. Every year, I watch the main shows, the results shows and the weekday It Takes Two shows. Every New Year, I have withdrawal symptoms. And no, I don't dance. I like to write. Maybe there's a book in me. I'd like to write a book, but something's stopping me. Time? Maybe. Fear that it's not good enough? Could be. -What is your favorite dish? I like curry, mild and flavoursome. -Would you rather cook or be cooked for? I don't like to cook. If I were the cook in our house, we'd both be a lot thinner. -If you had to stay with an ingredient, what would it be?Salmon. Love it, and it's good for me - win/win! -What is the best trip I've done? A short break in Barcelona. The first time I'd been on a plane, and I loved the city! -What is the best restaurant you've eaten?The Boot, a pub/restaurant very close to where we live. -What is your favorite cheese? I like cheese, but I can't eat it. It makes me very snappy and weepy, so it's more trouble than it's worth even to try a little bit. -What is the worst dish you've tried?I had a beetroot salad as a starter at a local restaurant. Normally I like beetroot, but they'd done something to it so it didn't taste anything like it should. Lord knows what they'd done! All of these cheer my world! Reading all the rules, I see that the award is to be given to blogs with less than 100 followers. I haven't done that with all the blogs on the list that I love. I have to admit that I don't know enough blogs to only choose -100 followers ones. Maybe that's the point - to get me visiting more blogs. I will do that. 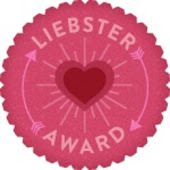 In the meantime, thank you very much to Lisa, who gave me this award in the first place. I'm off to visit some of the blogs on her list! Take care, Ali and have a great weekend! Hope your building work is making progress. Thinking of you.